Hot Potato! Hot Potato! 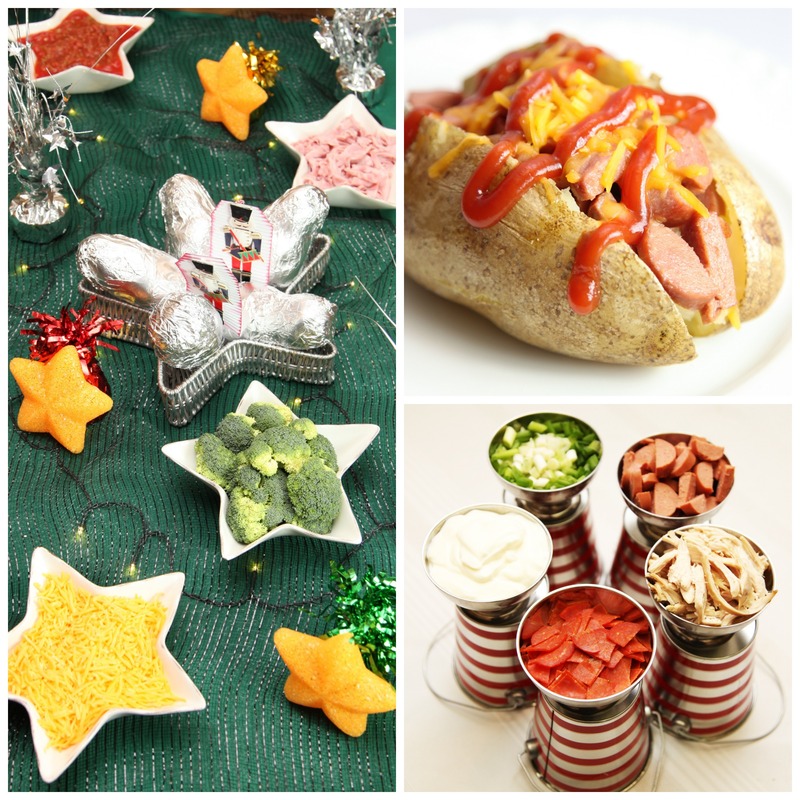 Parade Around a Homemade Hot Potato Bar! Hooray it’s Friday! Let’s celebrate with a Hot Potato Bar! It’s been a long week and the last thing you feel like is spending your leisurely hours laboring in the kitchen, LOL. Here’s a terrific time-table to source out dinner and even have time to be a couch potato. In the theme of enjoying the holiday parades such as the Macy’s Day parade and rolling into Christmas…let’s dress our dinner in a parade theme as tin soldiers in foil and get our batons twirling! This is a great family dinner theme for a local parade, or taking in a holiday movie…one of our parade favorites is Miracle on 34th Street! Family Friendly Parade Plan: Everyone LOVES a parade. Tune into the Macy’s Day Parade this Thanksgiving on your local PBS station, and learn more about this holiday happening HERE! If you’re into “smelling the roses”…you can also take a peak and the floral masterpiece known as the Tournament of Roses Parade on New Years Day! Peep the info HERE! – A few colorful decor additions to clown around with. Doesn’t have to be TOO parade-y…but make it fun! 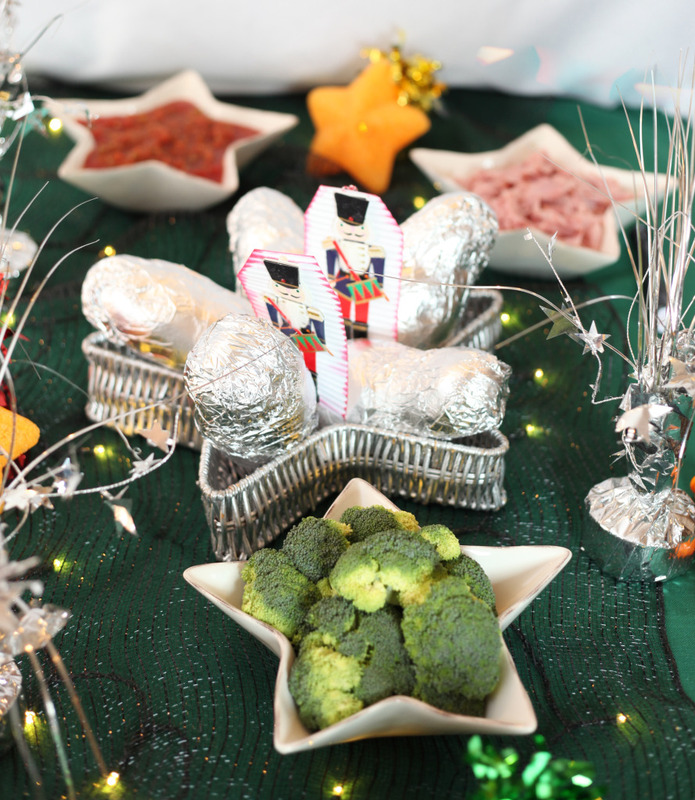 Use items such as star lights, sparkling LEDs, tin soldier cut outs, and more! We borrowed a bounty of items from our birthday box, and even broke out a few pieces from the Academy Award box! Get creative to get your parade motor running. Choose balloons, stars, or cars with a touch of sparkle! Costume up your ingredients, add lights, star bowls filled with “the good stuff”, and you’re good to go! 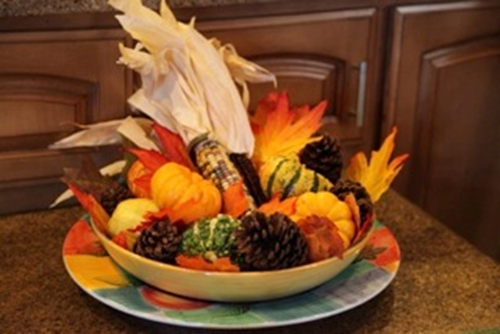 Hot potato centerpiece takes center stage, toppings on call and ready to roll! 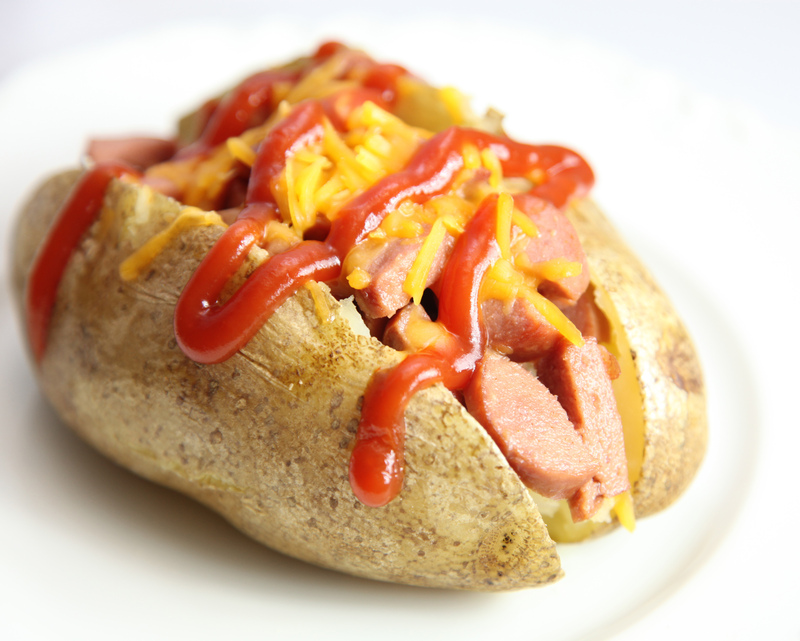 – Wrap each potato in tin foil, gently poke with a fork to get them moving, and bake for 60-90 minutes at 350. Alternatively, you can simply microwave your potatoes for faster prep. They’ll take about 2-3 minutes each, (be sure to pierce with a fork beforehand) and once you remove them, wrap in tin foil with the shiny side in to keep the heat. Let them rest while you prep for about 10-15 minutes. 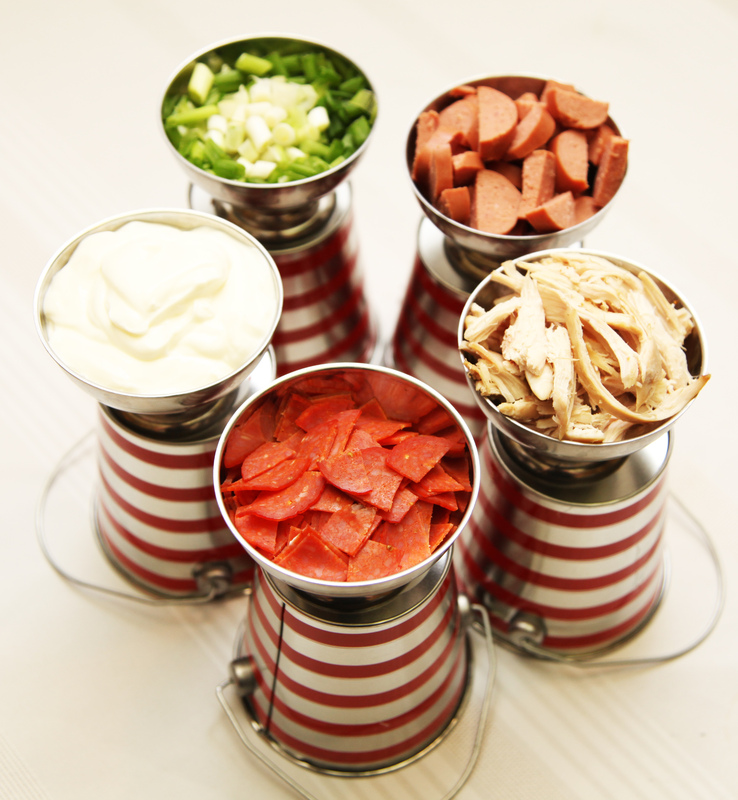 Naughtier items: butter, cheddar cheese, sour cream, bacon, blue cheese dressing, a mountain of meats and more! Nice/Lighter Faire: Smart Balance spread, non fat greek yogurt, veggies, salsa, turkey or chicken, 2% cheese, neufchatel/low-fat cream cheese, turkey pepperoni, etc. Diced hot dogs, a sprinkling of cheese and of course: ketchup! 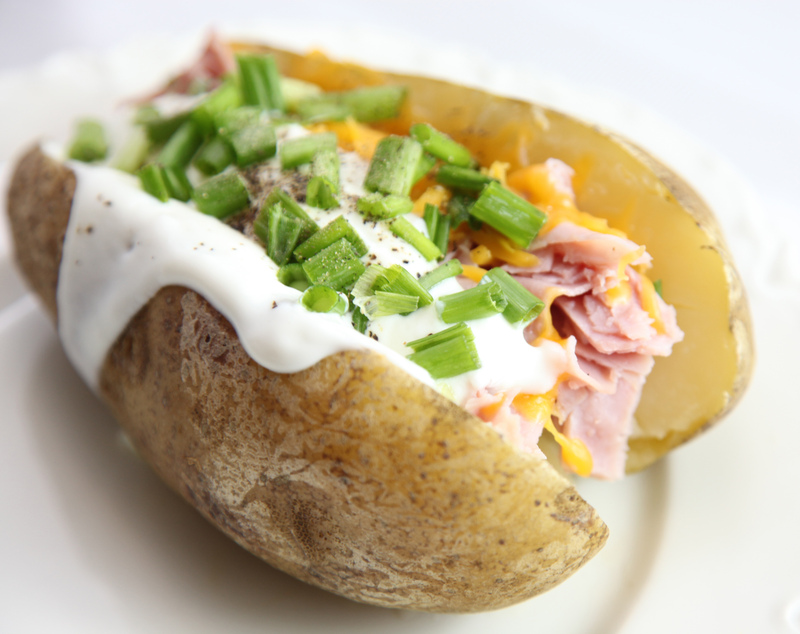 The classic: ham, cheese, chives, and sour cream! 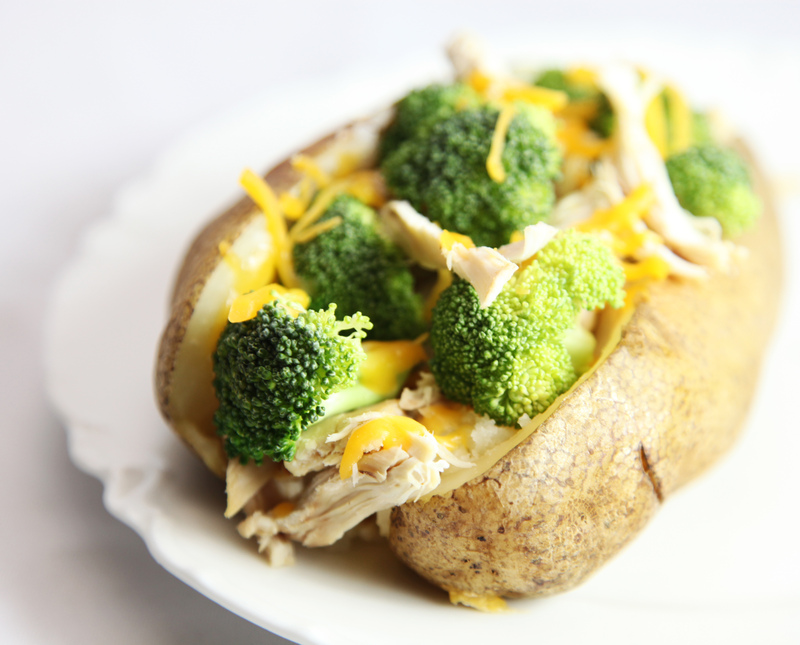 The health-spud: roasted white meat chicken, broccoli, 2% milk cheddar, and a bit of non-fat greek yogurt. Play parade music, march around the table, and get to snacking on these spuds gone a little wild…fun for the whole family on a Friday night with no stress and little mess.